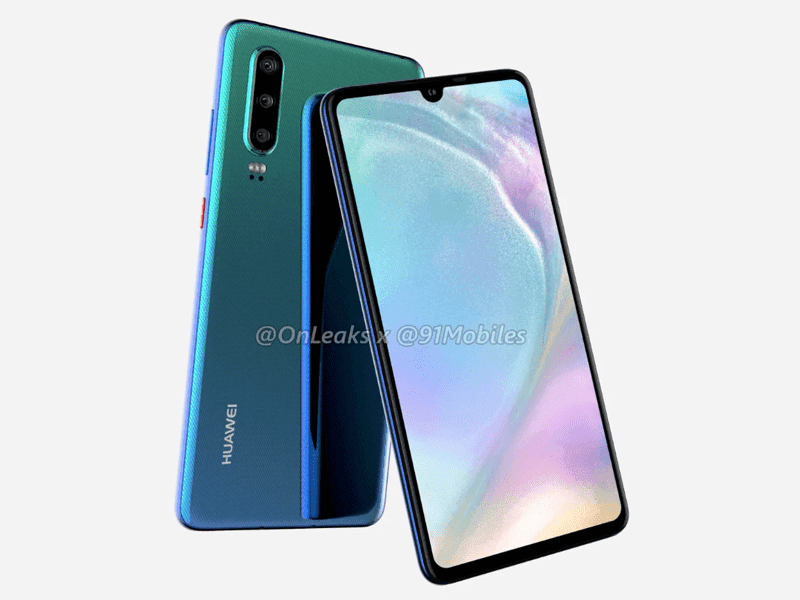 Reports from alleged people using engineering samples states that the upcoming Huawei P30 will feature an OLED display with dewdrop notch. Previously, Huawei used LCD on the P20 and OLED for the P20 Pro. But now, they will use OLED for both P30 and P30 Pro. The use of OLED is necessary to make optical In-Display fingerprint work. The tiny dewdrop notch suggest that it won't have a 3D face scanner like the Mate 20 Pro with wide notch. P30 is said to feature a 6.1-inch screen while the P30 Pro could have a big 6.5-inch panel. There are new reports claiming that the P30 Pro will have a new camera technology. It will "likely" feature a periscope zoom tech similar to what OPPO did. The camera will use a new 6-series Sony sensor. Most likely, the 1/1.8-inch 38MP Sony IMX607. The rest of the missing details are still unknown for now. Both are expected to be powered by Kirin 980 with up to 12GB RAM. The non-pro model will likely come with a 3.5 mm headphone jack slot as well.